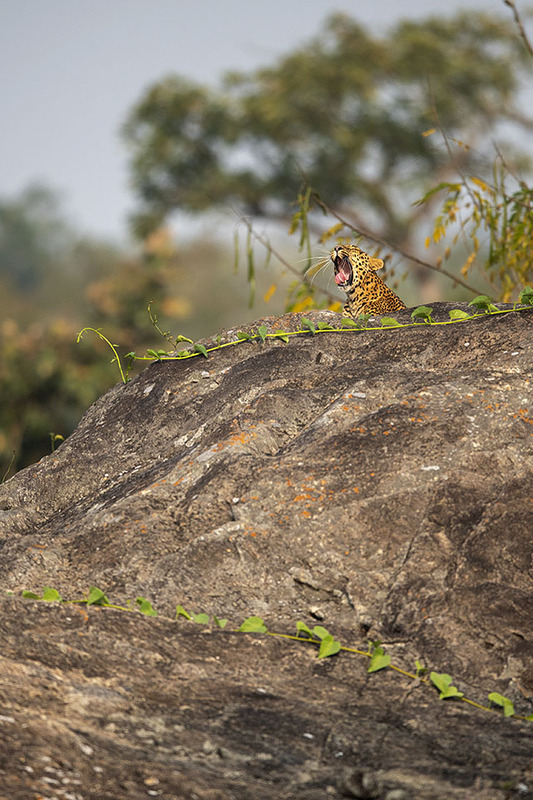 Sighting a Leopard on a rock is always so exciting. 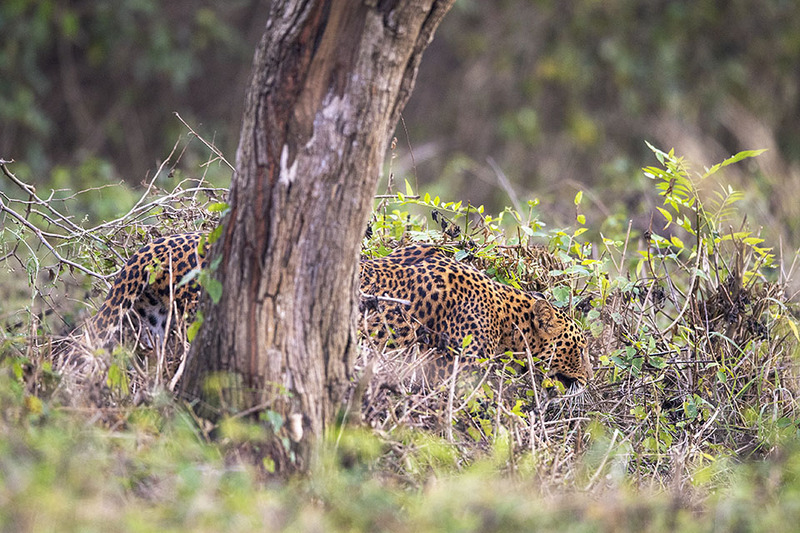 We were about to start our safari into Bandipur National Park and just before we ventured into the forest, we heard Spotted Deer alarm calls right beside the national highway running through the park. 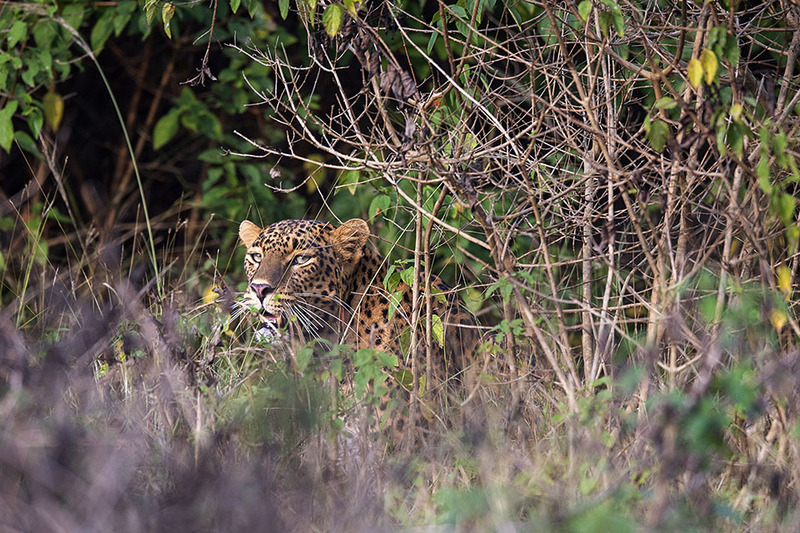 Soon someone spotted a Leopard at the edge of the Lantana bushes. We headed out and I saw the Leopard. It kept low, and raced across the road and all I could capture was this picture, below. 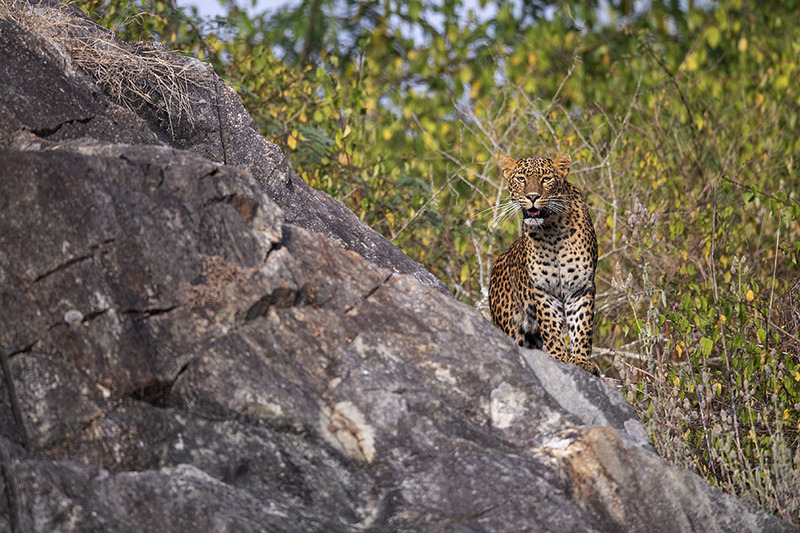 While we waited to get the permit to enter the Park, I was going through the various permutations and combinations on how I could have done a better job of capturing the Leopard. 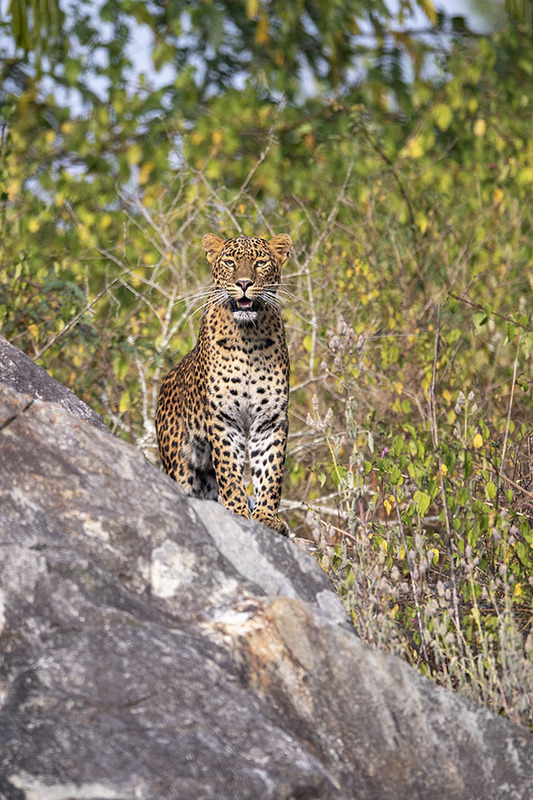 We entered the park and the same Leopard, that I missed crossing the road, miraculously emerged on the rocky patch that one can see just as you enter the park. The Leopard was in no hurry this time and I made full use of the opportunity. 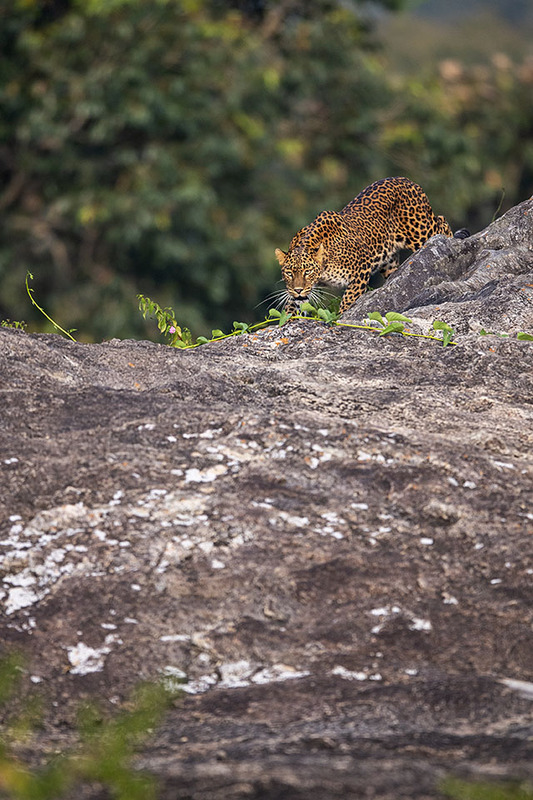 After resting for a while the Leopard came down the rock, making for a beautiful picture. It came further down and sat within the Lantana bushes close to the road, before disappearing into it.